The Peregrine didn't get to keep his seat long. A harrier that had been cruising the fields nearby decided she did not approve of the falcon- she dive bombed him once and he took off. Your boys are so cute. All ready for halloween! I love your dogs with the Halloween bandanas. Very cute! The blackbird swarms are cool. Neat captures of the Falcon with the Hawk. Happy Birding! Love the dog pic. Now I want a Halloween bandana for mine. That might be the highest I've ever seen a harrier! 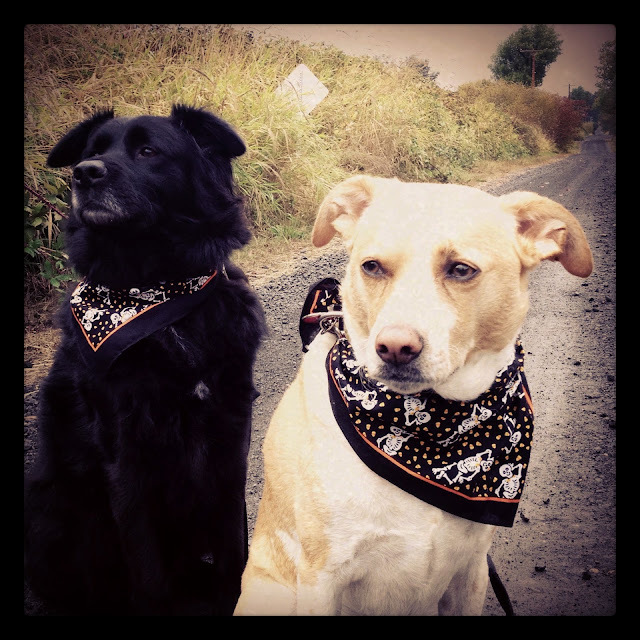 LOVE the Halloween bandannas on the pooches, they look super!! What good boys they sat so still for their photo. WOW huges flocks of black birds for sure! 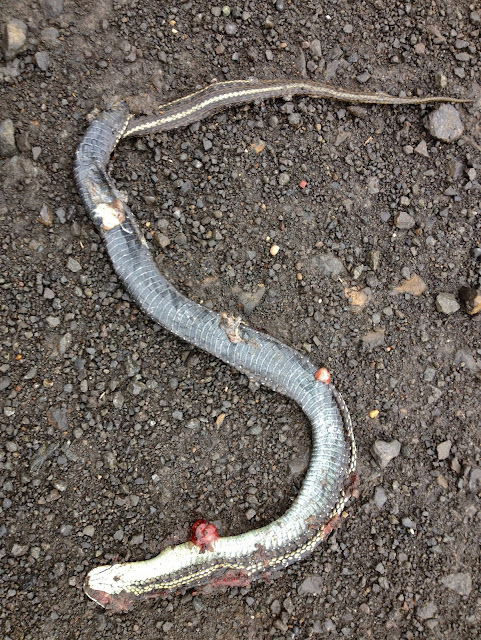 AND why do people have to run down a poor old snake? At least it will make a meal for some other critter. The dogs are looking all ready for halloween!